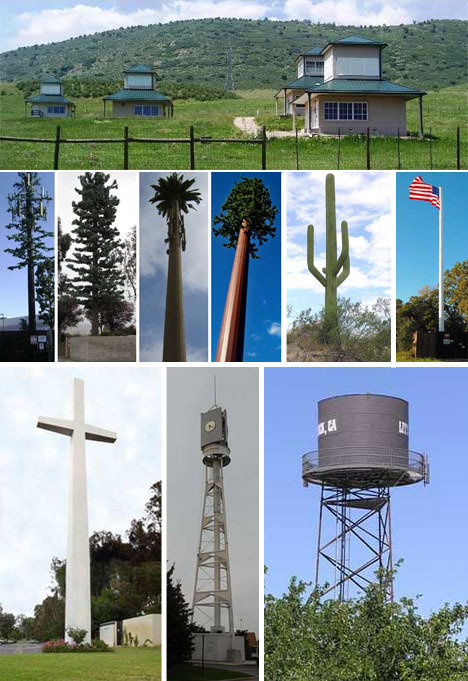 Cell towers are everywhere, yet neighborhoods would generally prefer to see them nowhere, so from urban to rural settings, companies have had to come up with creative ways to disguise their existence. The solutions range from slim lamp and telephone polls to giant faux boulders and entire fake buildings set into the landscape, with crosses, clock and water towers in between. Meanwhile, some structures are just too much in the way to fully hide. 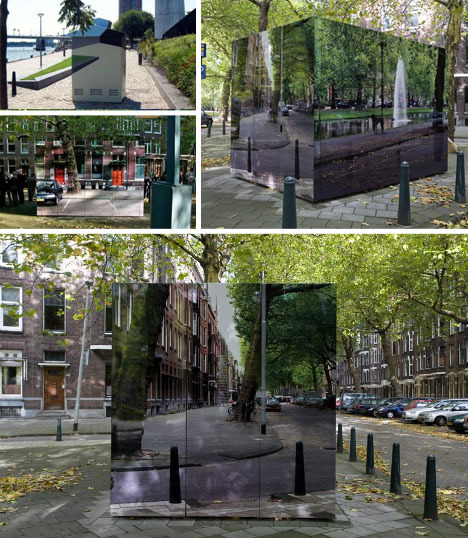 On the streets of Rotterdam, Holland, a Dutch designer has taken a necessarily alternative approach to the art of urban camouflage. The results at once allow structures to remain obviously foreign, as they must, but also blend them self-consciously into their environment. But hiding infrastructure is not always the reason a city creates dummy architecture. 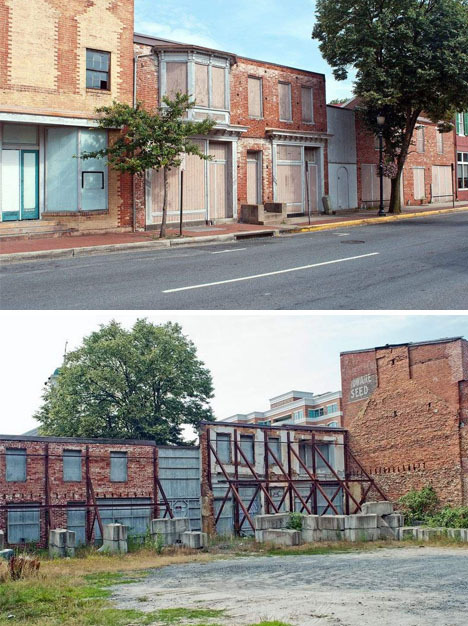 Units 58-62 & 66-70, South Market Street in Frederick, Maryland were made to create the illusion of occupation for its own sake – to give the appearance of a complete street, and preserve the structural look for potential future rebuilding. Damaged by flooding decades ago, the buildings behind the facades were kept while the main structures were deemed unsafe and demolished. As of last year, however, the decision has been made to destroy what still remains and build anew. This sort of large-scale fakery is also nothing new: built in the 1950s, Survival Town was constructed and subsequently nuked to see what would happen to structures and mannequins in an atomic attack.